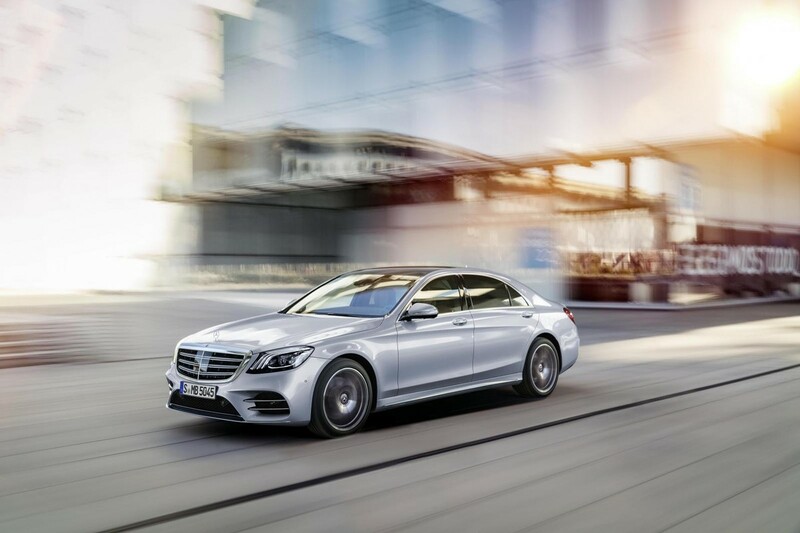 Mercedes-Benz has updated the S-Class promising more power, more useful technology, more efficiency and even more sophistication. We pretend we’re an oligarch for the day and drive every version from the new straight-six diesel to the V12 Maybach behemoth to bring you the lowdown. 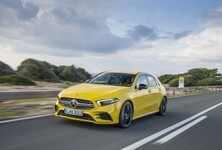 Every seven years or so, the world’s oldest car brand, Mercedes-Benz, sets out to build the best large volume luxury sedan on the planet. 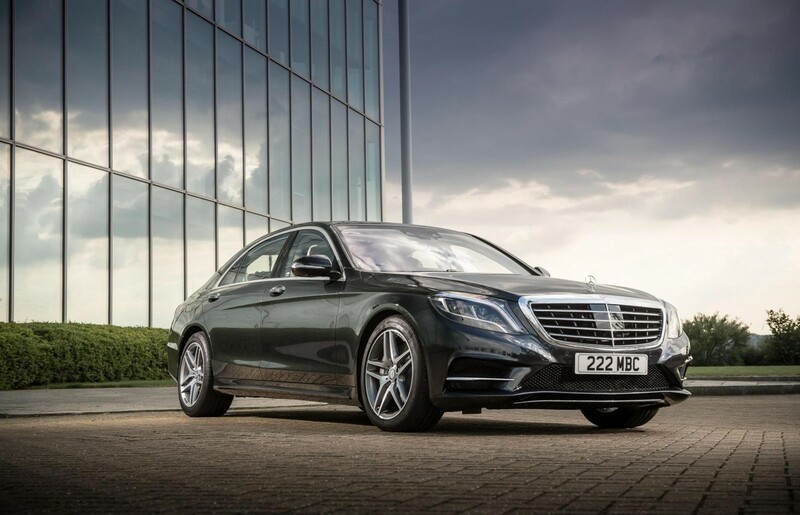 How many times over the past few decades the company’s chosen torchbearer, known simply as the S-Class, has hit that lofty target is purely subjective. 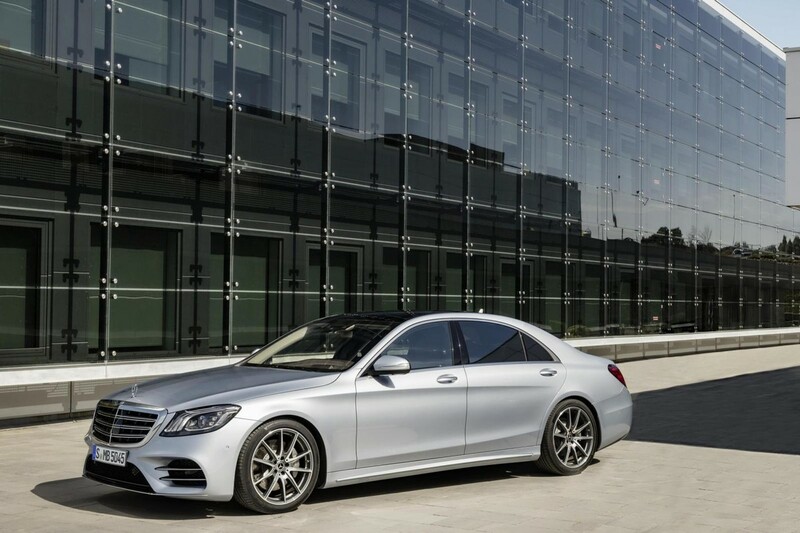 However, with global sales of the current generation surpassing 300 000 units since launch in 2013, the S-Class has again turned out to be the plutocrat’s preferred choice. Benz will take that as a victory. With 6 500 new parts, the facelifted S-Class has had a thorough makeover. There was a time when you could tell a 190E apart from a 560SE (W126) even with your eyes stitched shut. 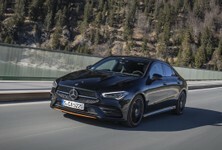 Nowadays, it’s more a case of getting intimate with the boot badge as Mercedes-Benz’s core car lineup of C-, E-, and S-Class sedans display nesting doll syndrome – each one appearing to be a larger version of its smaller sibling. 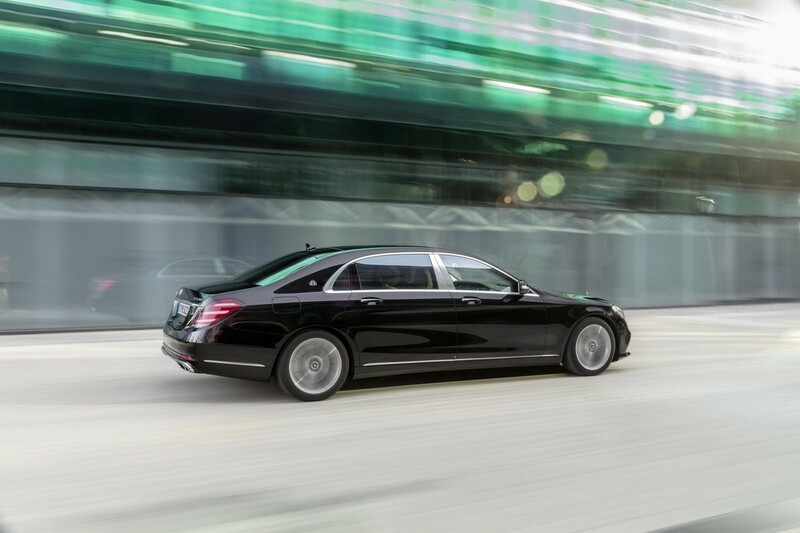 No bother, modern Mercs are elegant things, especially in long-wheelbase S-Class guise. 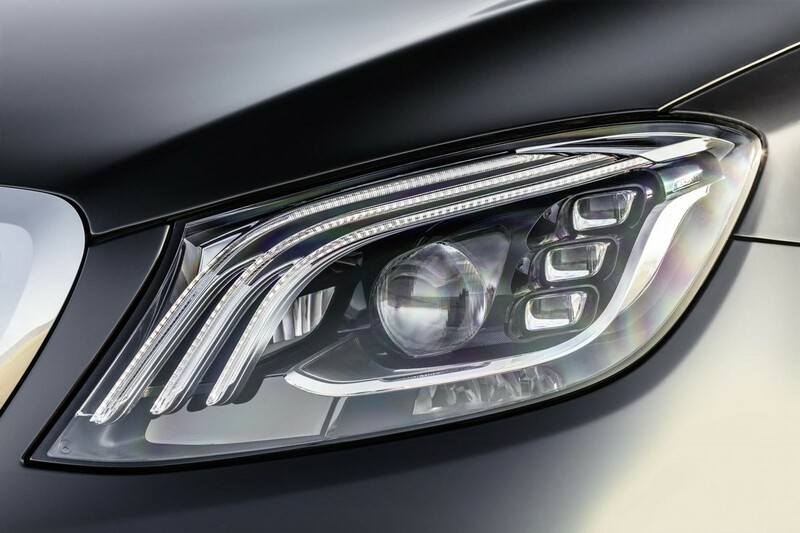 Identifying this particular update comes down to the LED headlights which now feature a distinctive trio of daylight running light bars. Reshaped bumpers and simplified radiator grilles provide more clues. Too restrained for you? 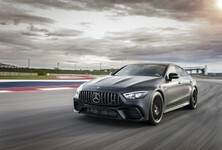 Then opt for the AMG Line or AMG Line Plus styling packs that include larger wheels and more aggressive air inlets – a neat visual bridge between the standard cars and the full-fat AMG S 63 and S 65 rocket ships. 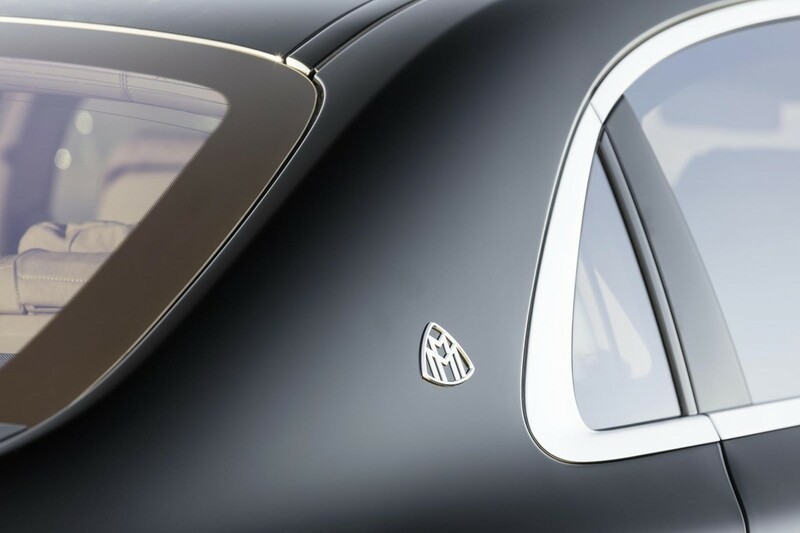 Crowning the range are two Mercedes-Maybach models, which, in this age of bold Bentleys and the cliff-like presence of Rolls Royces are not the most imposing beasts you’ll ever see. 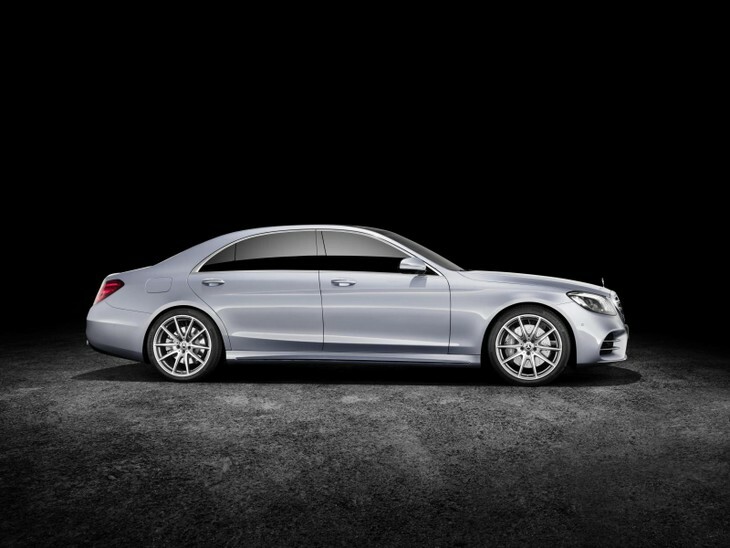 In fact, bar the side window configuration and even longer wheelbase they’re barely any different from a regular S-Class. The full model range, all in long wheelbase specification, begins with two diesels: the S 350 d and S 400 d. Priced from R1.62m and R1.69m respectively, both feature the company’s brilliant new inline 6-cylinder 3.0-litre diesel engine in 210 kW/600 Nm and 250 kW/700 Nm outputs. Punchy, smooth, ridiculously quiet and potentially very frugal, the engineering development that has gone into these new inline motors is tangible. There’s a petrol-powered version too but not yet for our market where the baseline petrol, badged S 450, retains the old 270 kW V6. It’s also priced from R1.62m. Noticeably rortier, its character seems at odds with the effortless motion provided by the other powerplants on offer. No such qualms with the 345 kW, 4.0-litre, bi-turbo V8 in the R2.04m S 560 which pulls like a veritable freight train. 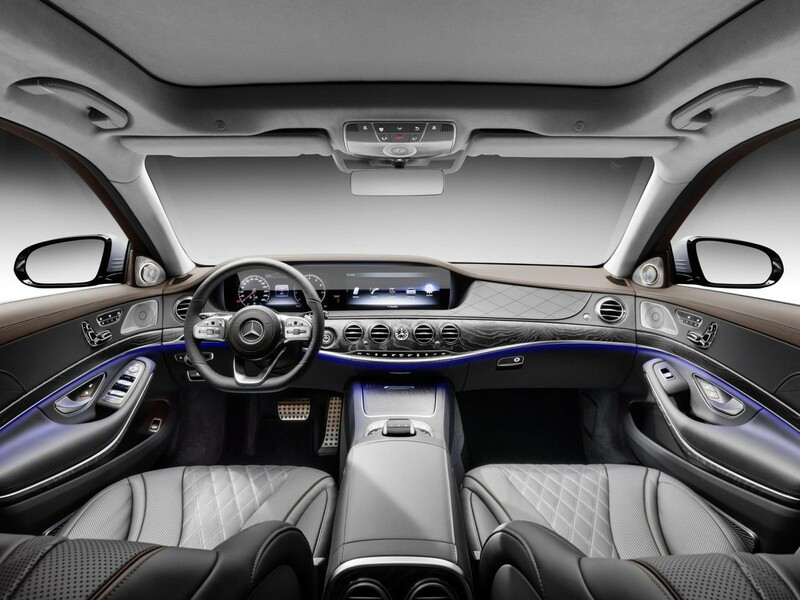 The S 65 AMG, with its V12 engine puts out 1 000 Nm. Exactly what you need for freeway cruising and instantaneous overtakes. But for ultimate waftability, there’s nothing quite like a V12. Merc’s twelve-pot in the S 600 is a gem, though the privilege of delving into its 390 kW and 830 Nm of creamy reserve will set you back R2.6-million before options. 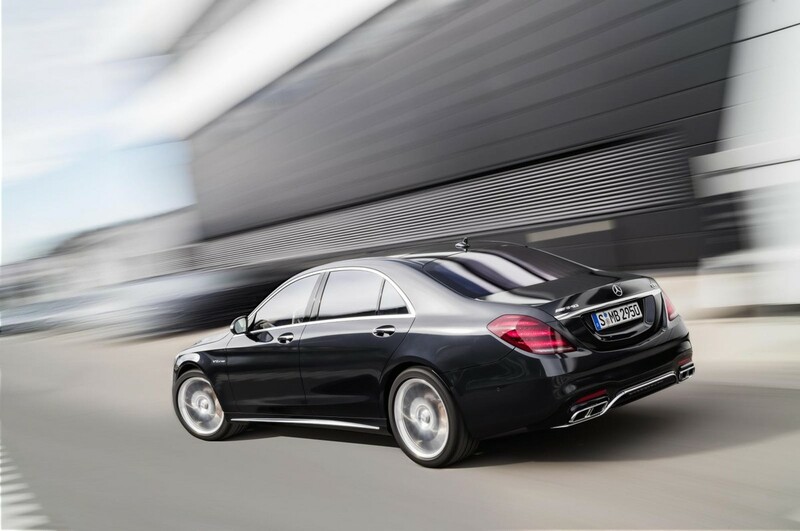 Then it’s the turn of the Mercedes-AMGs, starting with the V8-engined S 63 4MATIC for R2.76m. Powered by a beefier version of the 4.0-litre bi-turbo with cylinder shutoff, the V8 delivers figures of 450 kW and 900 Nm through all four wheels – sufficient thrust and traction to catapult the limousine to 100 kph in 3.5 seconds. 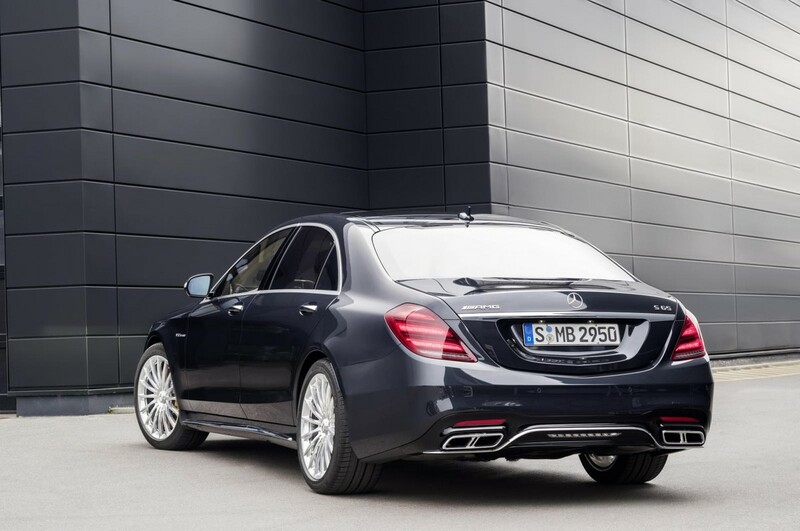 This makes the 180 kg lighter S63 nearly one second faster to 100 kph than the rear-drive S 65. Why even bother withdrawing an additional R640k from your cryptocurrencies fund for the top dog S 65? Because V12. Because 1 000 Nm. Because in a world most of us cannot comprehend, these things matter. In the rarefied atmosphere above the AMGs live the Maybachs. The entry-level V8 S 560 starts at R2.45m, while the V12 opens at R3.21m. That they’re slower and less powerful matters not. These are cars for those who have more important things to do than drive. That’s a shame because, despite their extra mass and less-wieldy added length, the Maybachs are a relatively rewarding steer. 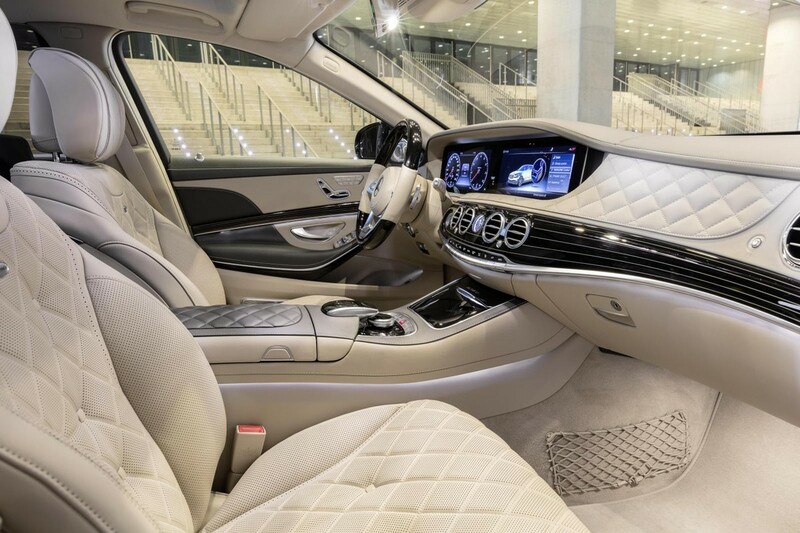 The Mercedes-Maybach isn't distinctly different from the S-Class on the outside, but on the inside, it's opulent. There’s no doubt this latest S-Class is a more dynamic driving tool than ever before. Light, responsive steering masks the mass. Adaptive, Airmatic suspension already provides high levels of ride comfort, aided by a slew of chassis control systems including Road Surface Scan, Active Body Control and a Curve Tilting function first seen on the S-Class Coupe. Now with an improved stereo camera, Road Surface Scan ‘reads’ the tarmac ahead and adjusts the suspension accordingly, Active Body Control varies the suspension stiffness at each corner independently to quell body roll and pitching, while Curve tilting helps to keep the body more horizontal by ‘leaning’ into corners. Does it work? Absolutely, as long as you understand it’s there to boost passenger comfort, not increase cornering performance. Still, this is a large car that isn’t opposed to being hustled. 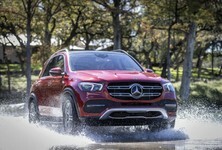 Mercedes calls it Energizing Comfort Control and it aims to network all the comfort-oriented features such as the climate control (including fragrance), seat ventilation and heating plus massage functions, music and ambient lighting in six ten-minute programs with self-explanatory titles such as Joy, Vitality and Freshness. It’s a noble attempt to simplify the complexity. 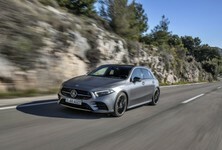 A Concierge service, for registered Mercedes Me connect users, has also been added. Accessed via a button in the overhead console, customers can ask a real live person for assistance with navigation, information or making a restaurant reservation. Move over Siri, not quite. More updated tech and higher resolution screens. Most of the onboard tech can be accessed via voice activation. 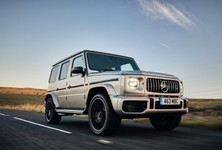 Connectivity, the big buzzword of the decade, is boosted by Linguatronic 2.0, Merc’s voice-activated control system that now understands 450 commands; wireless smartphone charging; and a comprehensive array of phone integrated text messaging options via the standard Comand Online infotainment system. 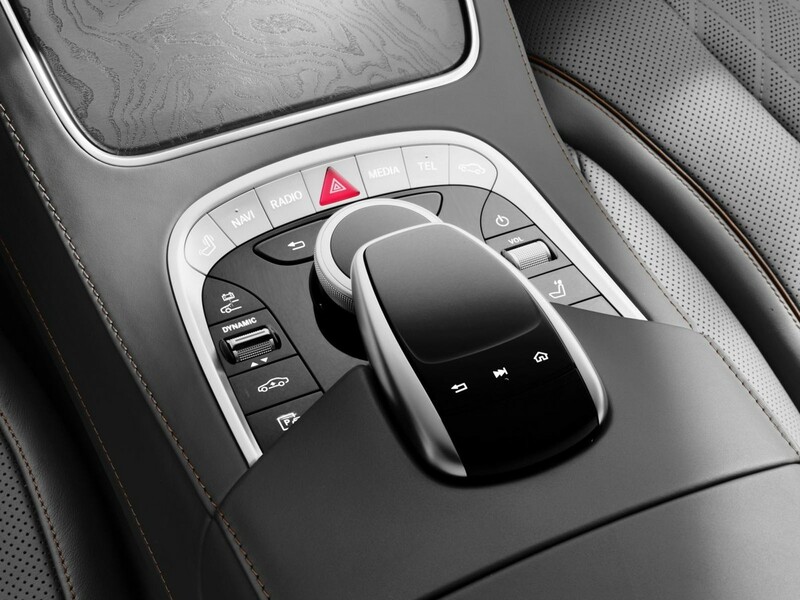 New steering wheel options include swipe-friendly touch sensitive buttons on the wheel boss that control the infotainment system, while the old, stalk-operated cruise control and Distronic functions can now be accessed via buttons on the steering wheel – more evidence of simplified sophistication. These are magnificent cars, justifiably expensive and broadly capable. Are they best in class? Again, such declarations are fraught with the danger of subjective bias. Don’t ask owners of the opposition. 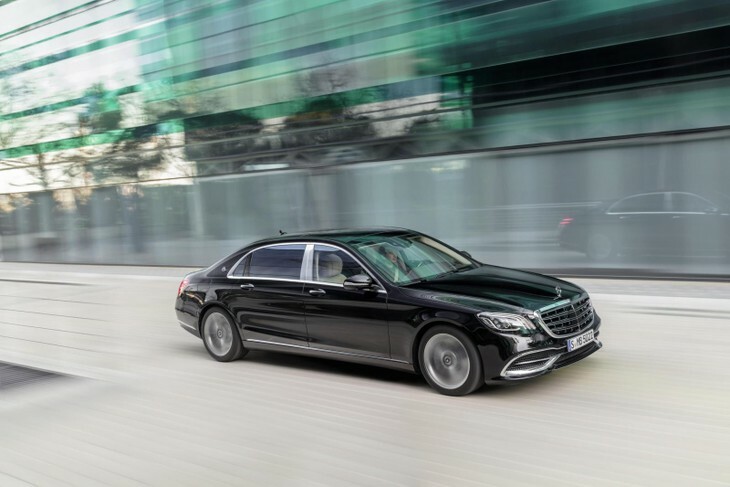 But drive this new S-Class for a few hundred kilometres and you’ll revel in its polished noise insulation, cosseting ride and ample power reserves. The car’s incredible array of safety systems and driver aids really do attempt – and mostly succeed – to make driving easier and more relaxing. 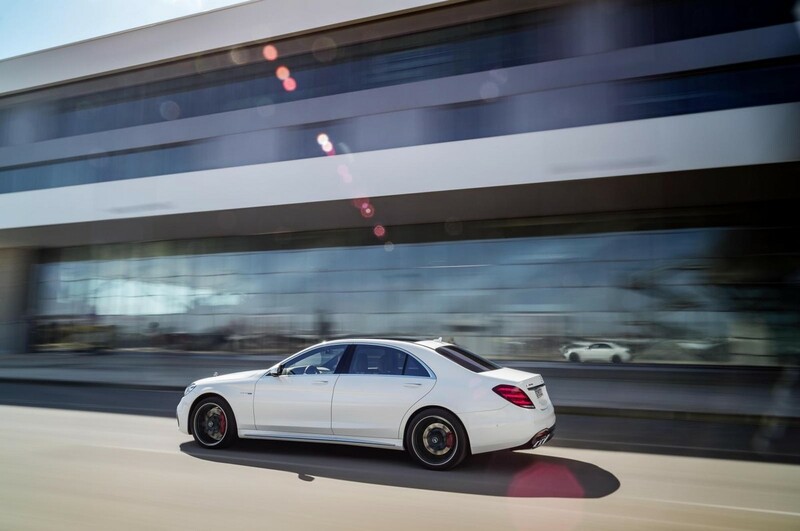 From an enthusiast’s point of view, time behind the wheel of an S-Class is more delight than chore. 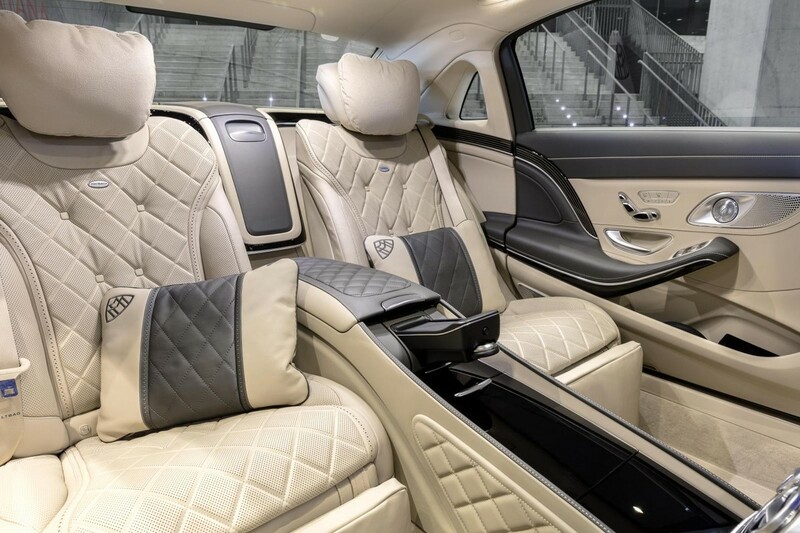 Time in the back of the Maybach is even better, with more room and definitely more comfort on offer than your average bachelor flat, even though being fully reclined does feel similar to being at the dentist, minus the bone-shrinking pain of course. I wonder if there’s an Energizing Comfort Control program for pre-dental-work anxiety? An unofficial aesthete, and consequent lover of beautifully pressed metal, Wayne Batty is a 1:43 scale concept car collecting automotive junkie who knows his Q5s from his Q45s. A decade in the industrial design world, followed by ten years at TopCar magazine – half that time as deputy editor – means he can wield a French curve and is well-versed in the road trip arts.